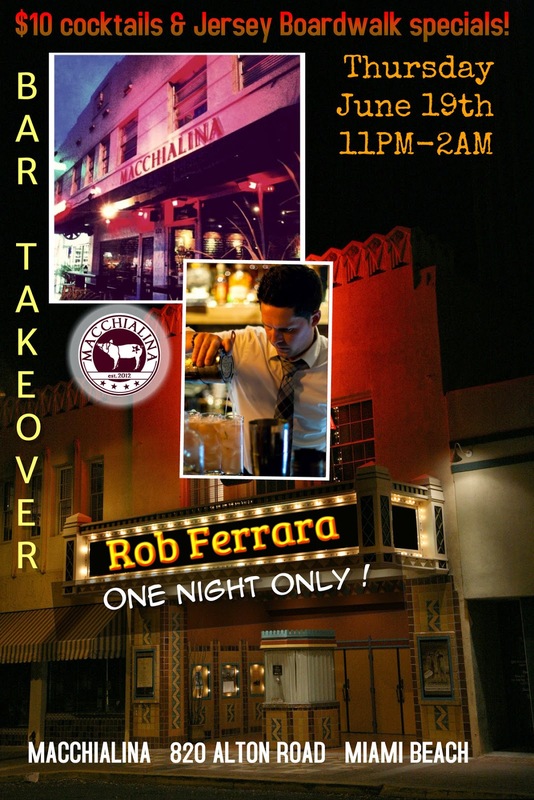 Rob Ferrara of Lure Fishbar is taking over the bar at Macchialina this Thursday night from 11pm -2am. Chef Snooky Mike P will be in the house serving some Jersey treats too. Italian Ice cocktails and Sausage and Peppers?! Both will be sporting fresh spray tans to boot.